Recently, TheStar reported that the Department of Civil Aviation (DCA) will be taking action against those who fly drones without a permit. In addition to the stricter enforcement, the report also claims that the DCA is planning to impose a registration fee of up to RM800 plus a renewal fee of RM500 a year. The report cited an unnamed DCA spokesperson as the source of the information. 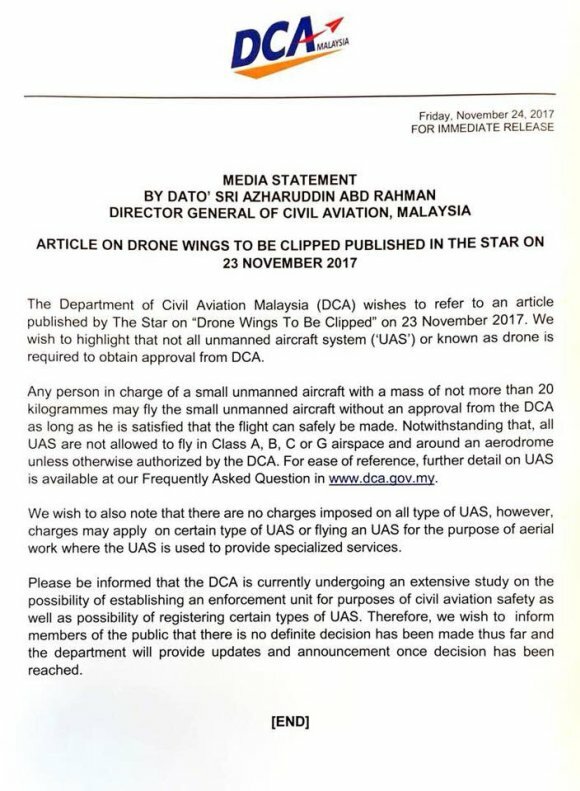 Obviously, this caused an uproar among drone enthusiasts in Malaysia and now the DCA itself refutes what TheStar’s alledges in its report. According to Dato’ Sri Azharuddin Abd Rahman, the Director General of Civil Aviation of Malaysia, not all drones would require a DCA permit to fly in the country. Drones, or small unmanned aircraft system (UAS) as the DCA classifies it, not exceeding 20kg in weight may be flown without the need for a permit or approval from the DCA as long as the person flying the drone is satisfied that the flight can be safely made. Of course, there are exceptions. All drones are not are not allowed to fly in Class A, B, C or G airspace and around an aerodrome (basically an airport or airfield), unless authorised by the DCA. 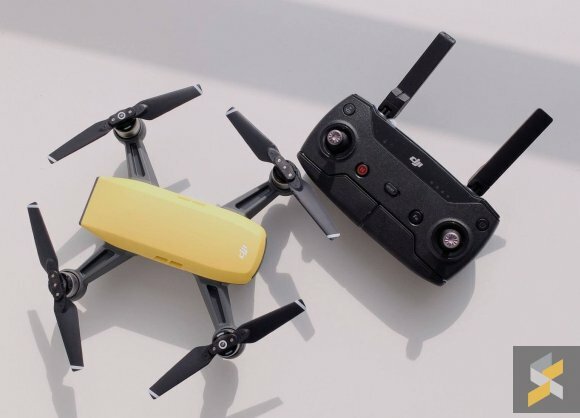 These rules are among the very general guidelines for drone flights in the country which also includes a maximum altitude of 400 feet or about 122 meters. The DCA also clarified that there are no fees imposed on all types of drones but say fees may apply to specialised drones for the purpose of aerial work. The statement from the DCA also added the possibility of establishing an enforcement unit to monitor the flying of drones in the country while the need to register drones is still undergoing an extensive study at the moment. For now, it looks like drone owners can rest easy as our skies are still open for exploration. You can read the full FAQ on Unmanned Aircraft System (UAS) over here.